$27.50 • $32.50 • $37.50 - SOLD OUT! The Doyle and Debbie Show is sublime parody, simultaneously lampooning and idolizing country music's tradition of iconic duos and their subsequent battle of the sexes. 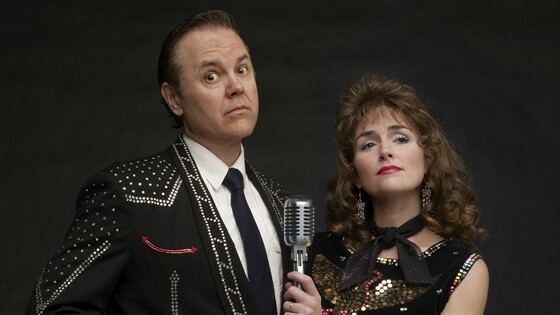 Bruce Arntson and Jenny Littleton wield the vocals of vintage country stars and the acting chops of Broadway veterans, taking audiences on a freewheeling joyride through a wickedly funny script and slew of equally hilarious original songs. Over the past eight years, Doyle and Debbie have developed a rabid cult following in Nashville, many of whom have seen the show over a dozen times-everyone from theater-going professionals to college students who wouldn't be caught dead in a theater or a country bar.